Petra Conti and Eris Nezha in duet from Marguerite and Armand, music by Franz Liszt, choreography by Frederick Ashton. Pianist Alexander Vershinin. Kremlin Gala 2015, Ballet Stars of 21st Century. Shot on 26.9.2015 in The State Kremlin Palace, Moscow. Petra Conti is curently the Principal Dancer with Boston Ballet. She was born in Anagni, Italy, graduated from the National Academy of Dance in Rome in 2006. In 2007, she joined the Mariinsky Ballet Theatre in St. Petersburg before joining the Bavarian State Ballet Company in 2008. In 2009, Conti joined La Scala Ballet Company, where she was appointed Principal Dancer in 2011. Conti was invited to join Boston Ballet as a principal dancer in 2013. Eris Nezha is currently the Principal Dancer with Boston Ballet. He was born in Tirana, Albania and graduated from Teatro alla Scala Ballet School in 2002, and immediately joined La Scala Ballet Company where he was promoted to Principal Dancer. He joined Boston Ballet in 2013. 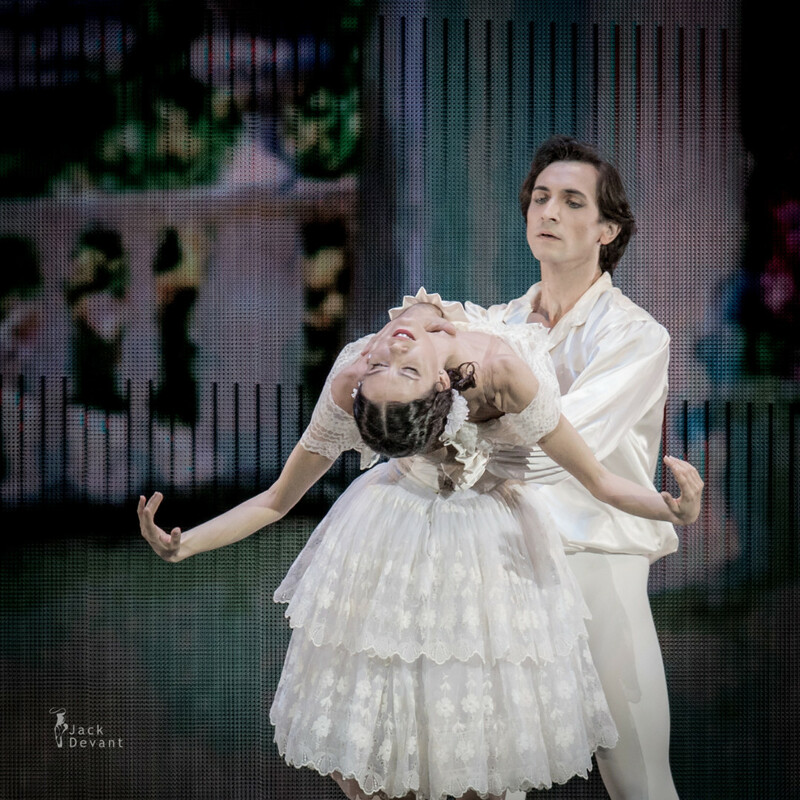 Marguerite and Armand is a ballet danced to Franz Liszt’s B minor piano sonata. It was created in 1963 by British choreographer Sir Frederick Ashton specifically for world-famous dancers Rudolf Nureyev and Dame Margot Fonteyn. 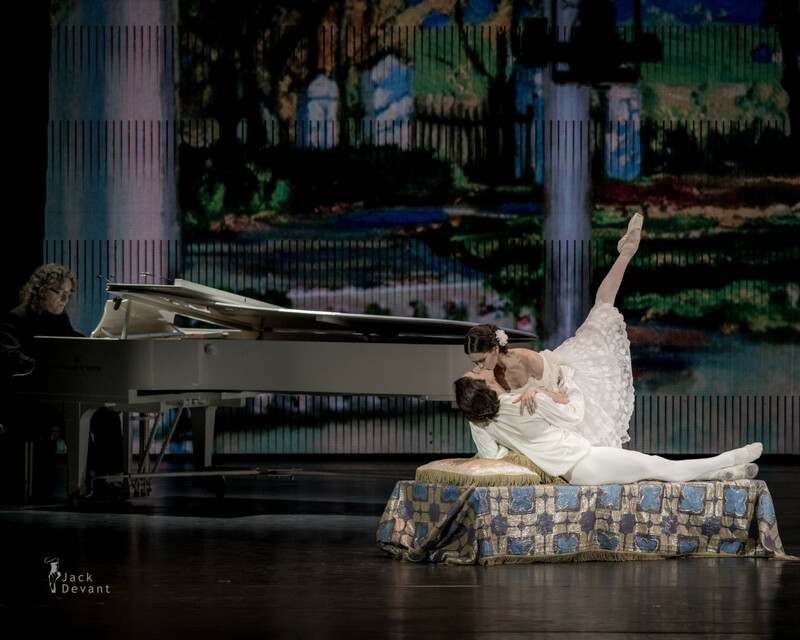 The ballet takes its inspiration from the 19th-century novel La Dame aux Camélias by Alexandre Dumas, fils, and other adaptations of the same story such as Giuseppe Verdi’s opera La traviata. As this was a piece choreographed specifically for Nureyev and Fonteyn, it was difficult for anybody to imagine anyone else in the title roles. It was a highlight in their farewell performances in Fonteyn & Nureyev on Broadway. After they died, it was forbidden for anyone else to dance the piece, but this has changed in more recent times. 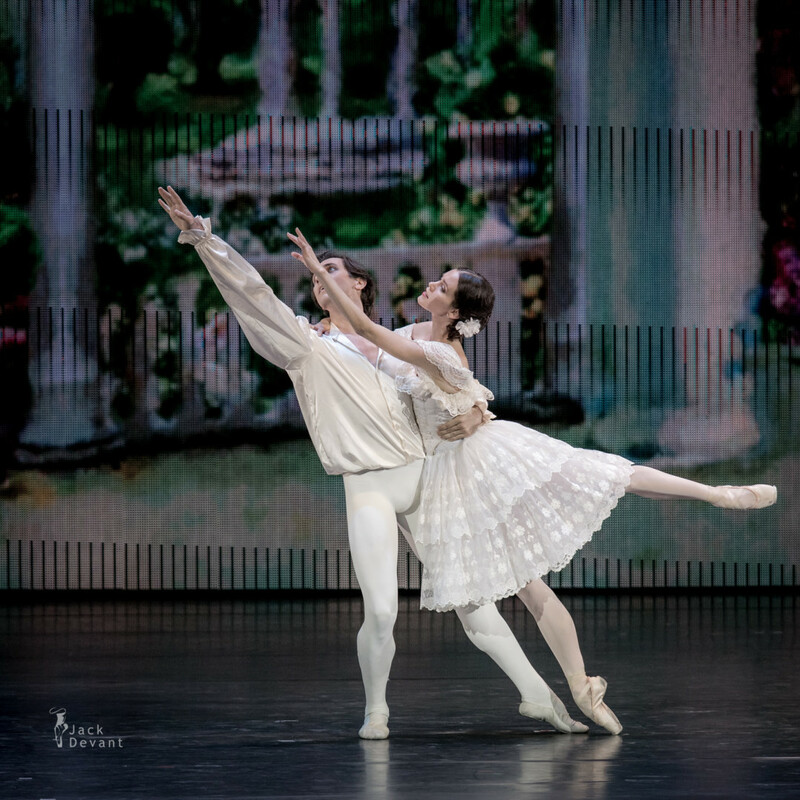 Revivals of the ballet have starred pairings such as Sylvie Guillem and Nicolas Le Riche, Zenaida Yanowsky and Federico Bonelli, and Tamara Rojo and Sergei Polunin. Sergei Polunin has also danced the ballet alongside Svetlana Zakharova. Sir Frederick William Mallandaine Ashton OM, CH, CBE (1904 – 1988) was a British ballet dancer and choreographer. He also worked as a director and choreographer in opera, film and revue. Determined to be a dancer, despite the opposition of his conventional middle-class family, Ashton was accepted as a pupil by Léonide Massine and then by Marie Rambert. In 1926 Rambert encouraged him to try his hand at choreography, and though he continued to dance professionally, with success, it was as a choreographer that he became famous. Ashton was chief choreographer to Ninette de Valois, from 1935 until her retirement in 1963, in the company known successively as the Vic-Wells Ballet, the Sadler’s Wells Ballet and the Royal Ballet. He succeeded de Valois as director of the company, serving until his own retirement in 1970. Ashton is widely credited with the creation of a specifically English genre of ballet. Among his best-known works are Façade (1931), Symphonic Variations (1946), Cinderella (1948), La fille mal gardée (1960), Monotones I and II (1965), Enigma Variations (1968) and the feature film ballet The Tales of Beatrix Potter (1970).